A common question is whether Medicare covers hearing aids. They are expensive, and the price often deters people from buying them. 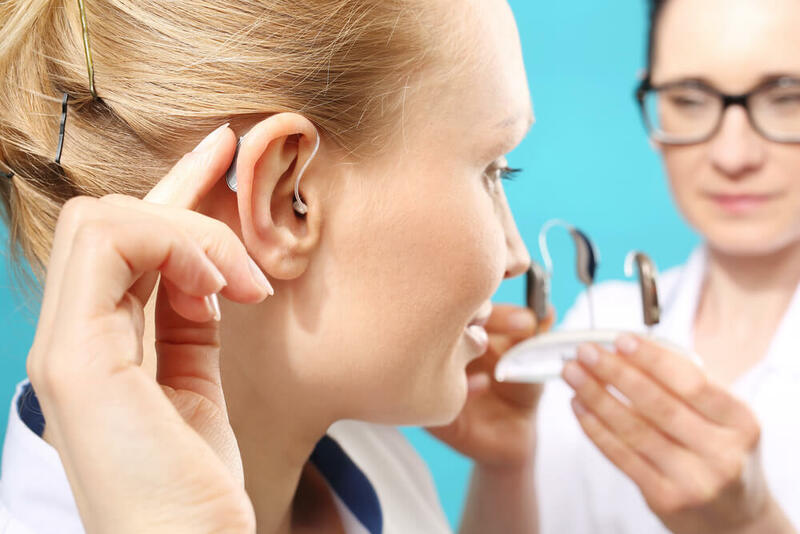 It can be confusing to sort through your policy and try to understand coverage, so with the help of Advanced Audiology, which sells hearing aids in Santa Clarita, we have done the research for you. In general, Medicare does not cover hearing aids, hearing exams, or hearing aid fittings unless you are covered by Medicare Part C, which is offered through private companies approved my Medicare. If you are, you could be in luck because they may offer additional coverage to you. More goes into purchasing a hearing aid than just the hearing aid itself. You must get a hearing exam first to confirm your hearing problem and the severity of it, then you have to get fitted for your hearing aid, and finally you purchase your hearing aid. The whole process can cost anywhere between $1,500 to $3,500 per ear, so if you need two, double that! This outrageous price tag exceeds most people’s monthly income. The steep price of hearing aids causes people to search for alternative ways to acquire them or to look for the next best thing on the market that isn’t quite as expensive. How Will I Pay for My Hearing Aid? Getting financing or a personal loan to help pay for the costs upfront. This helps because you aren’t out all this money at once, you will be able to pay it out over time instead. Veterans Affairs (VA) can help. If you are a military veteran, they will provide healthcare assistance and most likely assist with your hearing aid expenses. Charities and companies such as Hearing Charities of America, Hearing Aid Project and Beltone will help you get your hands on a hearing aid for cheap or even free by using donated hearing aids. Medicare covers individuals 65 years or older or younger adults with disabilities. As of now, Medicare does not typically offer coverage for hearing aids. A few exceptions may apply, including whether you have the Medicare Advantage Plan, also known as Medicare Part C. This plan may give you more coverage options and may even give you coverage for a hearing aid. If your doctor orders a hearing exam, Medicare may pay for up to 20% of the cost of the exam plus your deductible, and you would be left to pay the rest. There are alternatives to buying hearing aids that cost you an arm and a leg. With a little patience and research, you can find an affordable hearing aid for you. As mentioned above, you can have it donated to you from different charities or organizations. PSAPs (Personal Sound Amplification Products) are another option for people who can’t afford the whole process of getting a hearing aid. These are sold over the counter and are usually much cheaper than going to the doctor, getting a hearing exam, getting fitted for a hearing aid plus the hearing aid itself. You can usually find these at Walmart or Costco, among other places. FM devices are used to transmit far away noise to you. It works like a walkie talkie. The speaker has one near him and the sound transmits to you where you can then hear it. This comes in handy at church, school, or somewhere where you need to listen but may be too far away from the speaker to hear anything. Reducing social isolation: Hearing loss often causes you to be less social and to isolate yourself. A hearing aid will help build your confidence back up and have you socializing in no time. Ease of conversation: With a hearing aid, your family won’t need to yell at you to communicate with you anymore and it will take stress off you and your family members. Keeping you alert: You can hear little noises around you and won’t get startled as often. It has been proven that adults with hearing impairments who get hearing aids see an improvement in their quality of life right away. Because Medicare doesn’t cover the costs of hearing aids, the price can cause some concern. Check out all your options before deciding and try to get as much assistance as you possibly can. Check out the websites I mentioned above to see if there are any organizations that can aid you. Good luck on your hearing aid purchase and I hope you find the best deal possible.